We feel that Golden Classics of Clearwater has the Most Experienced and Friendly Staff of any Classic and Muscle Car Dealership in the Country. 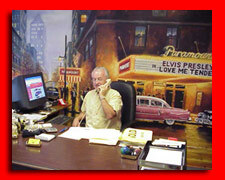 Our Office, Sales, Service and Detail Staff are second to none in Experience, Ability, and Dedication. Here's a chance to get to know some of our staff. Originally from Hamilton, Ontario, Canada, Dan started Golden Classics in Florida, and built it from a small business into one of the largest Volume Classic and Muscle Car Dealerships in the Country. 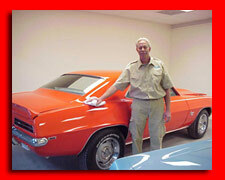 He is one of the most Talented and Respected Classic and Muscle Car buyers in the United States . He spends most weekends during the year at major events around the Nation, looking for Restored or Nice Original cars for our Inventory. His favorite car is a 1966 Chevelle SS 396 in Black, which was also the first car he purchased new in 1966! Born and raised in Detroit, Michigan, Barbara moved to Florida in 1978. She traveled extensively while employed in the Travel Industry, and more recently has been working in Office Management. 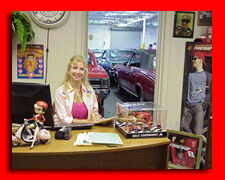 Barb travels regularly throughout the United States assisting Dan as he hunts for more Classic and Muscle Cars for the Golden Classics Dealership. 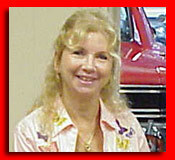 Her favorite car is a 1967 Corvette Convertible, but she also loves Harley Motorcycles! Darwin is from Ottawa, Ontario, Canada.. According to his family, he has been a car enthusiast since about the age of 5. While cars have been a lifetime passion, he travelled the World with his jobs in the Travel Industry. 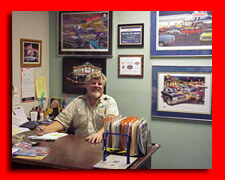 After moving to Florida, he turned his hobby into another career when he joined Golden Classics in the late 1990's. 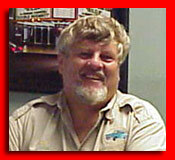 He has worked for many years with Dan to help build the Dealership into the success that it is today. His longtime favorite car is a 1958 Impala Convertible. Darwin also does the photography for the Dealership. 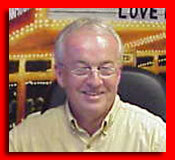 Bill grew up in Des Moines, Iowa, and had an interest in automobiles from an early age. He has held many positions in the Automobile Detail Industry, including several years as the Manager of the Detail Department at a local Chevy Dealership, one of the largest in the nation! 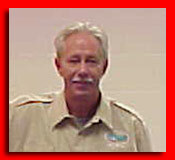 His expertise includes wet sanding and buffing, as well as all other aspects of auto detailing. Bill has "his" favorite car, a 1962 Impala SS that he has owned for many years, parked at home in his garage!